Todd Carmichael (born August 30, 1963) is an American entrepreneur, adventure traveler, philanthropist, television personality, author, inventor, husband and father. He is the co-founder and CEO of La Colombe Coffee, one of the world’s premier coffee roasters. Among his many accomplishments, Carmichael is the first American to make a solo trek across Antarctica to the South Pole, on foot unassisted and unaided, capturing the World Speed Record. His near-death adventure was the subject of an award-winning documentary entitled Race to the Bottom of the Earth (2010), which aired on the National Geographic Channel. Along with his many philanthropic projects, he has partnered with The Clinton Foundation and others to open the Haiti Coffee Academy, an institution created to help with the revitalization of the impoverished country’s once prominent coffee industry. 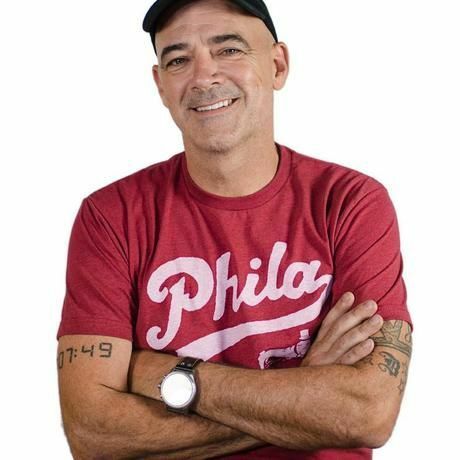 Carmichael has been awarded the honor of being named Esquire Magazine’s “American of the Year” and Philadelphia Magazine’s “Person of the Year” in 2011 and later ranked #1 by Food Republic for the most influential figure in its Coffee Power Ranking. He is currently the host of Travel Channel’s Dangerous Grounds, where his globetrotting adventures in search of the finest coffees in the world are captured on video. He is also the inventor of the Draft Latte, an exciting new beverage changing the way America drinks coffee and previously in 2014, he entered the Specialty Coffee Association of America and the Barista Guild of America’s U.S. Brewers Cup competition for the first time and delighted his many fans by winning at Northeast Regionals with a “full immersion - double suspended filtration” method. Carmichael at the National Competition in Seattle, WA, characteristically pushing the boundaries, unveiled his prototype of an experimental brewing contraption, dubbed “The Dragon”, a manual coffee-brewing device he invented, integrating the pour-over concept with elements of the classic siphon, placing runner up. O3 World specializes in digital product design and development, from conceptualization through implementation and support. We work with businesses as their strategic partner to provide long-term digital solutions through web, mobile, e-commerce, and application development. With offices in Philadelphia and DC, we’ve emphasized a balanced approach to design, innovative technological solutions, and an award-winning agency culture. Forge Conference, Philadelphia’s premier UX and product design event created by O3 World, returns to the City of Brotherly Love on September 26, 2016. Philadelphia’s hometown coffee roaster, practicing direct trade and specialty roasting. Shops at Rittenhouse, City Hall, Fishtown, and Independence Mall. Providing America with better coffee since 1994.